Italy is a beautiful country but is one of those countries which you probably have some questions and preconceptions, before your coming to this special country. A place of olive oil, pasta, wine, mafia and sunshine, roman ruins and renaissance palaces, Italy has a lot to give its tourists. Although some of these conceptions are amazing and interesting, it would be a shame if that was the only thing you come away with. Italy is certainly much more complex and stimulating than these concepts. Italy is a country full of interesting things for the casual tourist and the educated tourist, it has deep Roman Catholic roots. The tourists can stay weeks in important tourist centers without reason to feel bored, but it is equally simple to get off the beaten track. In the north, next to the Alps and the landscapes of the Po river, many cultural gems and highly developed industrial cities fascinate. In this exciting country the people live the “la vita Italiana”. Lombardia is the capital of Milan, city of business organization and haute couture, the tourist can easily stay weeks without being bored. Bergamo is only an hour of distance and has an upper Old Town. On every corner you will observe something new. Venice and Verona are the most famous tourist attractions in the north-east of Italy, maybe you can think about romantic love affairs here. The people can discover easily the beautiful landscapes of Italy, Verona province may be the more fascinating. Many persons say that the north-west of Italy is a paradise for every culinary interested traveler. For the people who adore the wine, Piemonte is related with Barolo and Barbaresco, the most famous wines made out of the Nebbiolo grape. Turin is the capital of Piemonte, this city provides more than just a starting point to visit these wine regions. Lots of tourist attractions like museums, modern art, music and book fairs make of this city, one of the notable Italian cities concerning cultural life. At the same time it is a booming industrial and multimedia city. One of the most popular areas in Italy is Tuscany which is located in central Italy. Known for it’s beautiful landscape and picturesque towns and villages including Florence, Lucca, Siena and Cortona. 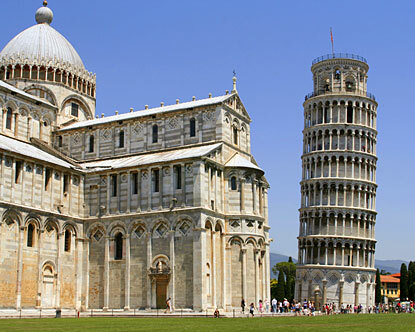 The Tuscan region is a popular vacation destination with many nice hotels and villas for rent. The Romans much to be proud of. They have the wonderful remains from 500 years of being the world’s greatest ancient empire. Then, there is the heritage of the great popes of the Renaissance and Baroque. Today, Rome is one of the great wonders of the world. There’s no better way to enjoy it than renting a holiday apartment. One can feel the profound history the city of Rome possesses. Thousands head to Rome every year to immerse themselves in the unique city and of course “do as the Roman’s do”. Whether it be for the historical landmarks, the exquisite food or the irresistible fashion, one cannot resist the temptation of Rome at least once in their lifetime. France – the world’s most popular tourist destination (and that’s official, folks) – can confidently claim to offer it all, from glam beaches and storybook castles to widescreen countryside and city chic. It’s a country of dramatic juxtapositions – the modish boulevards of Paris, the timeless greenery of the Loire Valley, the wide slopes of the Alps, the lavender fields of Provence, the gourmet restaurants of Lyon, the rugged charm of Corsica – and one which, when taken as a whole, presents a near-perfect visitor package. Paris itself is one of the globe’s truly great cities: a multi-layered realm of high fashion, historical riches and haute cuisine. But seen in a wider context, it’s just one of many world-class tourist destinations that France has to offer. “How could one describe a country which has 365 kinds of cheese?” once asked former French president Charles De Gaulle. It’s a good question. Beer or wine? That sums up the German conundrum. One is at the heart of a pilsner-swilling culture that draws kegloads of visitors annually, is the very reason for one of the world’s great parties (Oktoberfest) and is consumed with pleasure across the land. The other is exported worldwide, is responsible for gorgeous vine-covered valleys and is enjoyed everywhere, often from cute little green-stemmed glasses. And the questions about Germany continue. Berlin or Munich? Castle or club? Ski or hike? East or west? BMW or Mercedes? In fact, the answers are simple: both. Why decide? The beauty of Germany is that rather than choosing, you can revel in the contrasts (except maybe with the car question…). Exploring this country and all its facets can keep visitors happy for weeks. Berlin, edgy and vibrant, is a grand capital in a constant state of reinvention. 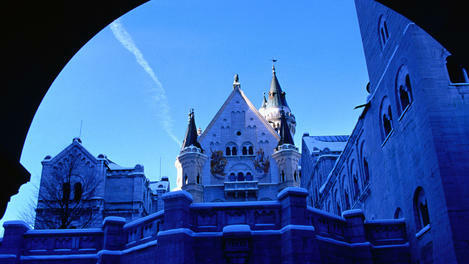 At the other end, Munich perches atop Bavaria, the centre of national traditions. Half-timbered villages can’t help but bring smiles as you wander their cobblestoned and castle-shadowed lanes. Cities of all sizes boast some of Europe’s best clubs, as you’d expect from the home of techno. Enjoying the outdoors, from skiing Alpine peaks to hiking carefully preserved forests, is essential. And compare the ancient traditions of the east, as beautiful Dresden adjusts to the 21st century, with Cologne, where decades of prosperity burnish its grand heritage. Beyond these clichéd images, a vast, unexpected panorama unfolds before you. Emerald green mountains seem to slide into the wild blue Atlantic in the north. Proud, solitary castles and medieval towns are strewn across the interior. White villages glitter in inland Andalucía. Rugged mountain ranges such as the Sierra Nevada (Europe’s most southerly ski resort) are draped across the country. The Celtic music of Cantabria, Asturias & Galicia reminds one of the misty lands of Brittany, Scotland and Ireland. From its Roman relics to Muslim palaces, from baroque cathedrals and Modernista constructions, the country is a treasure chest of artistic and architectural marvels across a matchless cultural palette. 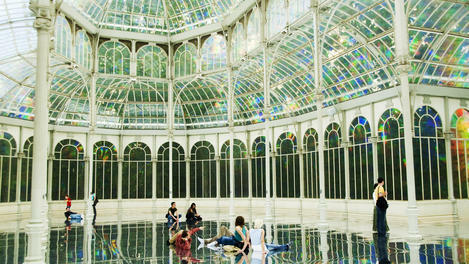 More than 30 years of democracy and rapid economic development have spurred Spain’s cities to bedeck themselves with sparkling new ornaments. An army of local and international architects has left a slew of daring signature buildings in Barcelona, Bilbao and Madrid, to name a few. Up and down the country, a zest for life creates an intense, hedonistic vibe in its effervescent cities. Indeed, if there is one thing Spaniards love, it is to eat, drink and be merry, whether gobbling up tapas over fine wine in Madrid and the south, or its elaborate Basque Country equivalent, pintxos, over cider in the north.